passionate about our event as we are. You have worked so hard to bring awareness to the event through social media and we appreciate that. Your enthusiasm and energy is infectious and reflects in your work. We truly believe it is because of your creativity that we continue to grow year after year. With your social media marketing campaign we increased our overall participation from 2014 by 121% and 2015 by 13%, which resulted in the War Horse Warrior Challenge raising nearly $80,000 in 2016. Sincerely – Vanessa Janzen – Community Fundraising Specialist, Canadian Cancer Society Brant-Norfolk. 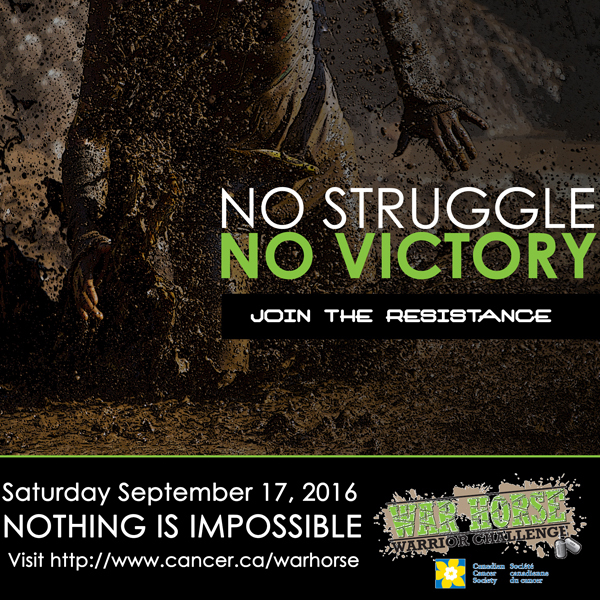 Visit War Horse Warrior Challenge.